Amazon released Echo Dot 3 in India today, and as always, I was excited to try out the next-gen smart speaker. Out of the box, it looks like a worthy upgrade from the last generation. To understand the differences better, I’ll do a comparison between Echo Dot 3 v Echo Dot 2 and list the findings. They are both powered by Amazon Alexa, so you can ask questions, play music, and give you news, weather, traffic, sports results, etc. They also run the same skills, you can also control Alexa supported smart lights and smart plugs like you usually do. In short, there is no difference is the software part, but what Amazon has really changed is how it look and feel the speakers and mic quality. Must Read: Amazon Audible v Google Play AudioBooks: Which to choose? 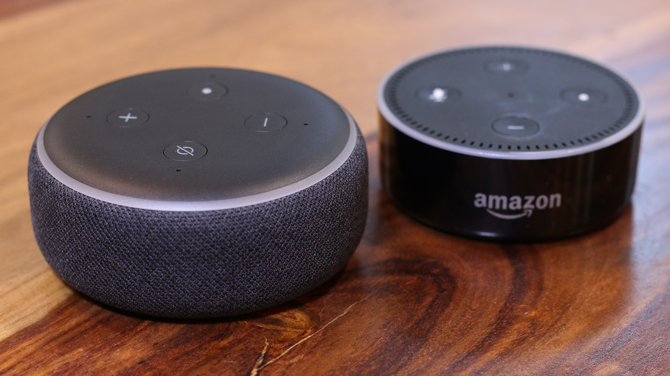 Echo Dot 3 is slightly larger in size than the Echo Dot 2, it stands tall at 43mm and 99mm in diameter whereas the last generation Echo Dot 2 is a little smaller 83mm in diameter and 33mm in height. It feels much more premium and ergonomic with its more rounded almost donut-like shape. 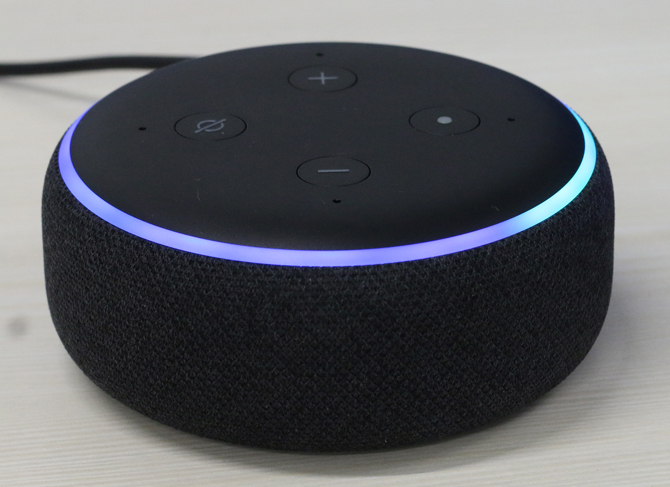 Amazon has paid a lot of attention to the market and its competitors and made some major design changes like the fabric side grills for speakers which resemble close to its big brother Echo Plus and the rounded edges just like the Google’s Home Mini. Echo Dot 3 has the Halo-style Light ring on the top but has mellowed the brightness compared with the previous generation which looks much more soothing than the previous generation. Where the previous gen Echo Dot 2 felt a lot like a cheap quality speaker, it made up with its AI integration with Alexa and seven far-field mics. Echo Dot 2 and Echo Dot 3 have the same software capabilities but Echo Dot 3 is strikingly superior to its predecessor. Echo Dot 3 feels durable and solid when you hold it your hand because it weighs almost double than the Echo Dot 2. 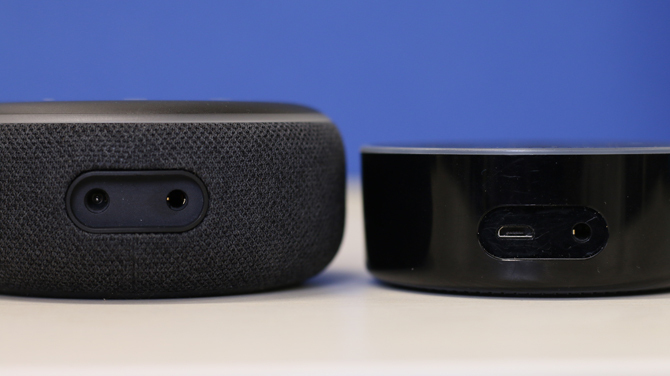 Where Echo Dot 2 weighs around 163g, Echo Dot 3 weighs around 300g. It made sense when they decided to remove the micro USB slot as the power source, considering the Echo Dot 3 consumes 15W power compared to the previous gen Echo’s 9W rating. The new Adaptor is also a 12V source which offers more power to the speakers. Although I am not happy that they removed the micro USB, I do understand their decision. 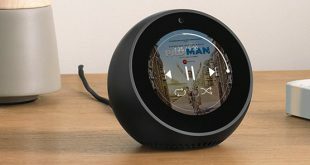 Both generations of Echo Dots have 3.5mm headphone jack and can be connected to your home theater unit or speakers and provide audio output from the connected devices. Things remain unchanged here so that’s good. Echo Dot 3 houses a much powerful speaker better than the previous generation. Amazon claims it is almost 70% louder and I agree it does, in fact, sound much cleaner and produces much lower frequency sounds than the last generation. Meaning you get much more bass with the new powerful speaker and crisper sound levels. 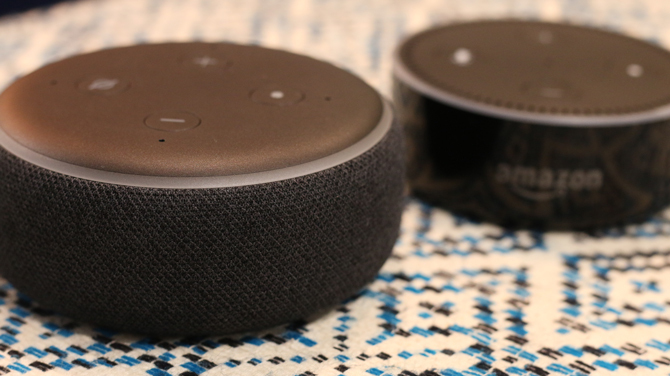 While the Echo Dot 2 had decent sound levels but now that I’ve actually compared both sides by side, Echo Dot 2 doesn’t stand anywhere near the sound levels of Echo Dot 3. Echo Dot 2 sounds loud but discards most of the lower frequencies creating a high pitched sound that sounds loud but when you compare it with a better sounding speaker the difference is evident. Amazon has retained its 4 button layout just like the previous generations with two volume buttons, a mute button, and an action button. Echo Dots don’t have a screen so it relies on its halo style light ring and audio. The light ring is almost the same but Amazon has subtly reduced the LED intensity making it much easier to use in dimmer environments. The Audio interface, Essentially Alexa is about the same on both the devices and you won’t find much of a difference there. One major change is the number of far-field mics, Echo Dot 3 has 4 far-field mics which are larger in size than the previous generations 7 mics. 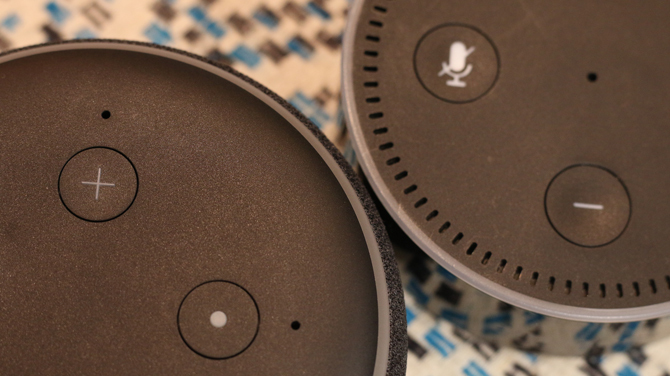 Echo Dot 3 has mics on the top and have dedicated holes right next to each button, Echo Dot 2, on the other hand, had an array of 7 mics embedded in the edge grill. I was surprised by this decision and was almost skeptical if it was really an upgrade. Upon testing both devices it is evident that Echo Dot 3 recognizes the commands for much greater distance. You can connect additional devices with Echo Dot 3 like the Echo sub which is not compatible with the previous generation Echo Dot 2. Echo Dot 3 comes with one year warranty and you can purchase it from Amazon, whereas Echo Dot 2 has a 90-day warranty. You can still buy Echo Dot 2 from Amazon Store. Overall, I see Echo Dot as a standalone device which is justified in its features considering the price bracket its placed in. 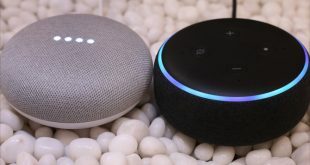 But If you already have an Echo Dot and just want better speaker quality, you can always connect it to a good speaker and enjoy those benefits. If you’re planning to buy a new smart speaker for your home or an additional Echo for another room, then I would suggest going with the Echo Dot 3.